Today's weddings are about options. Strict wedding planning rules no longer exist. Instead, unlimited ideas come together to create an event customized to the individual couple and their families. The possibilities are endless, but don't allow wedding planning to overwhelm you. Enjoy it! Let us help you make the most of those possibilities. From finding the perfect bridal bouquet to customizing your wedding budget, Allegra is your ultimate planning resource. 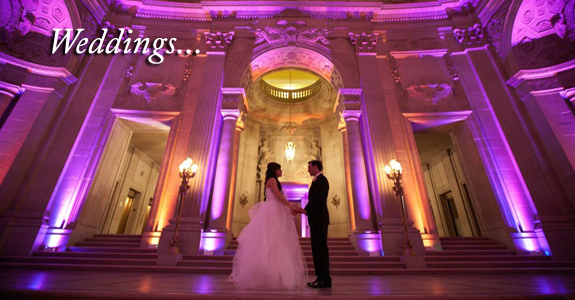 From a small, elegant affair to an opulent gala, full service wedding packages are available at affordable rates. We believe that the planning process should be like the diamond itself—flawless and stunning! Let Us Make Your Day Truly Special!